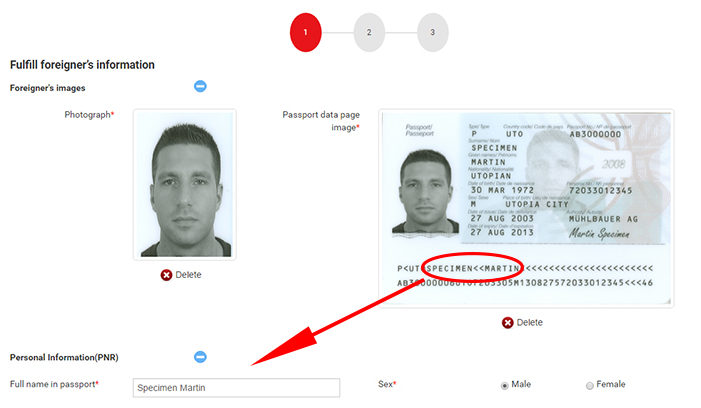 It's unclear whether the photograph should be the same exact photo found in the passport. It wouldn't be a problem for me to include the exact photo except I am wearing glasses in that photo. From personal experience, I can tell you that as long as the photo you include conforms to the specifications, it doesn't have to be the very photo you provided for your passport. Indeed, in at least one of my passports, the photo was taken directly by the consulate, and I don't have it. It'd be difficult for me to provide the exact same photo! Not the answer you're looking for? Browse other questions tagged visas vietnam photography or ask your own question.